Happy Monday, Babes!! We have been busy decorating the house for Christmas, and it still isn't done! But, it is the greatest feeling to have those sparkle lights on around the house. Here is a causal look I wore over the weekend. 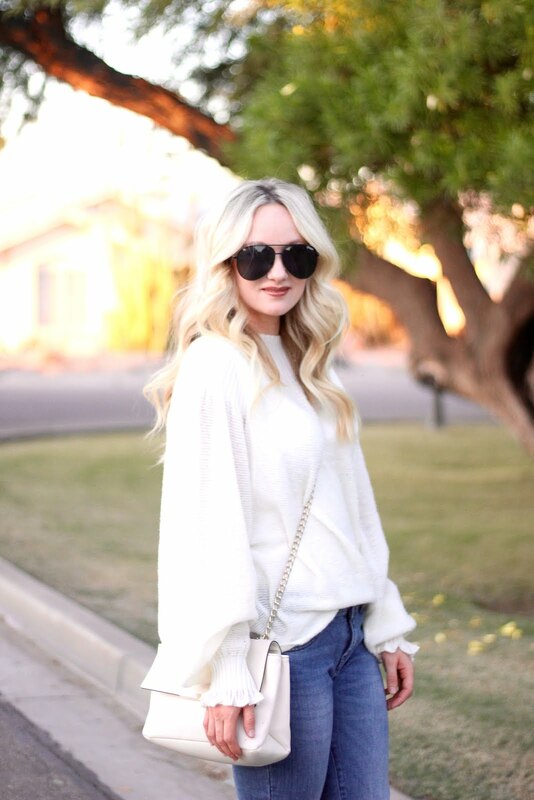 This sweater is one of my favorites and so worth the pretty penny! The puff sleeves and ruffle wrist give it that extra feminine look, which you know I love! 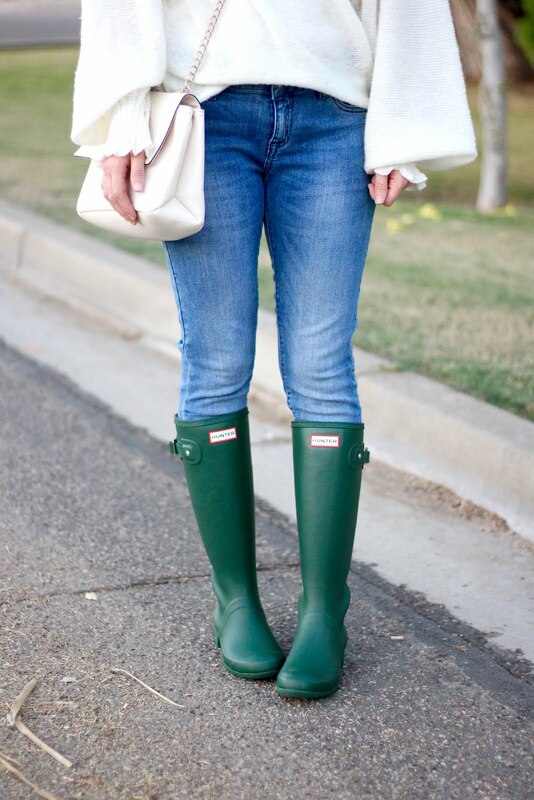 And if you don't own a pair of Hunter Boots you need to! 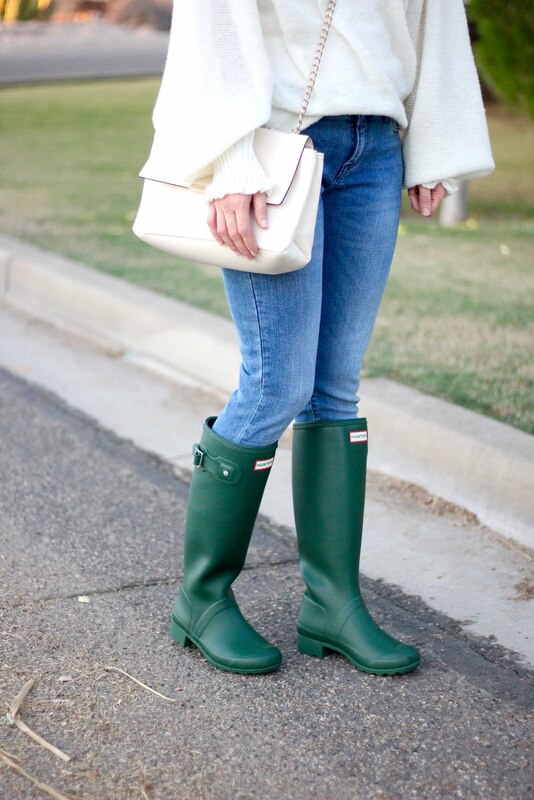 They come in so many different colors and perfect for the winter season. They are so easy to throw on and go. Plus, you can twin with your little(s) too!